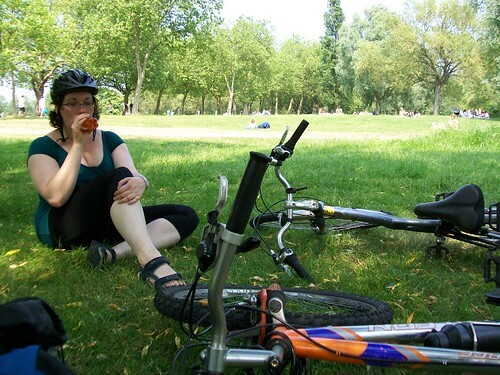 Given a sunny Sunday, what else to do but lounge in the park? 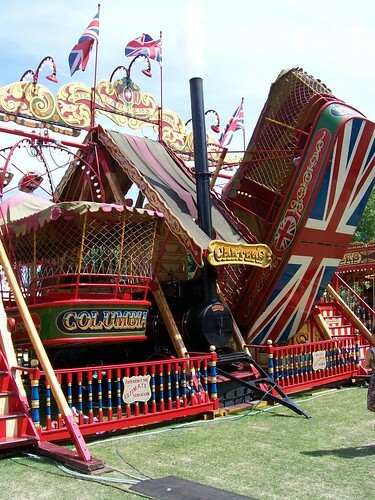 Well… why not find a park with an Edwardian amusement arcade as well? 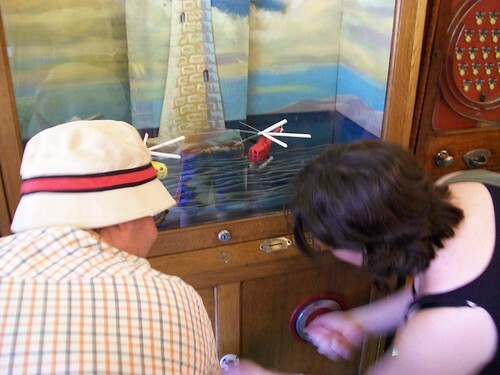 Helicopter Race - almost as good as England's race to victory!! 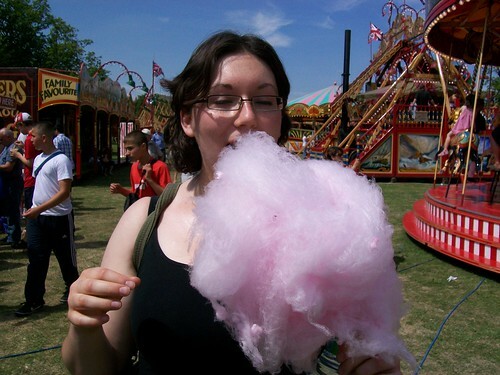 So after all that excitement, why not take in a bit of proper English cuisine – candy floss! After that…well lie about in the park and do nothing. When we did eventually go look at the football in the nearest pub, England were already being beaten. Quietly drinking our pints in a corner, we escaped before the end to make sure that we didn’t get beaten too! – but only back to the park for a picnic and a little more doing nothing. Brilliant. Wish more weekends could be like that. Yesterday I had the day off to do a bit of cycling, exploring and photographing pubs for the local branch of CAMRA. Sadly the good weather I set off in quickly turned overcast so I’m not sure how useful many of the photographs will be – though at least one pub in Leytonstone appeared to be being demolished as I passed by! 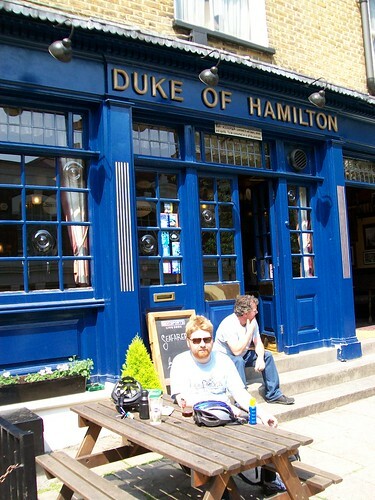 More on the pubs will appear at my other blog, East London Drinker. 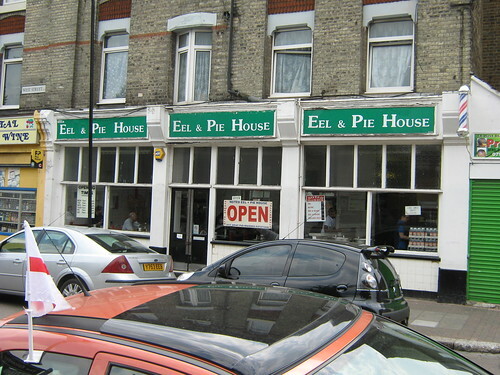 However… it did mean that I was in in the right place to sample the ‘Noted Eel and Pie House’ on Leytonstone High Road. Sadly they had run out of eels (damn!! 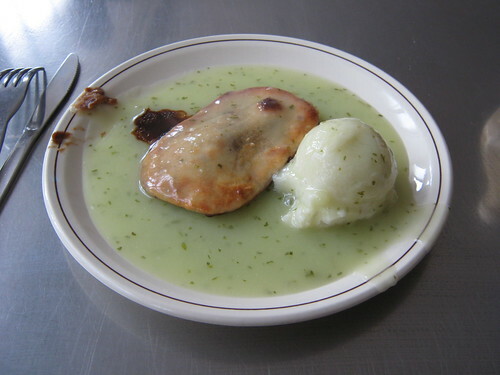 – not) but I could get myself a pie and mash. The menu is fantastically simple. You can have Pie, Mash, Pie & Mash, Eels & Mash or Eels. Ask nicely and you can have a cold soft drink to wash it down with. They also sold frozen pies for anyone wanting to recreate the experience at home. Décor within the restaurant is simple too – a mixture of chairs and benches arranged around stainless steel tables. 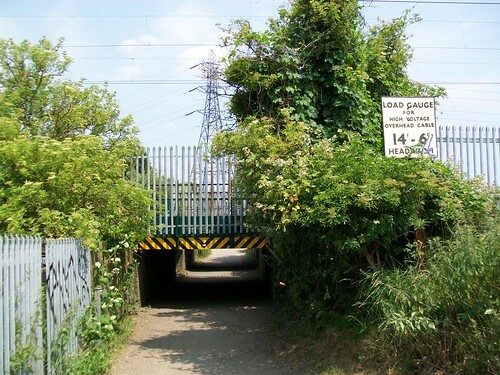 If you’re in Leytonstone between 11 and 3 this place is well worth a visit. The Bride on the bouncy castle! It’s going to take ages to sort out the photographs and choose the best ones to show off… (there’s hundreds!) but for now here’s one of the most memorable moment’s from Saturday’s wedding. After the kids had gone to bed, the bride and some of the guests went for a good old bounce.